Leading cable television provider DIRECTV boasts of a variety of television packages suitable for different needs. It offers five basic English TV packages ranging from basic to premium. These are Entertainment, Choice, Choice Xtra, Choice Ultimate, and Premier. DIRECTV deals include add-ons such as HD DVRs and international channels for those who want a more customized entertainment experience. Internet and phone users may also subscribe to bundle packages for cheaper monthly fees. Here is a quick rundown of DIRECTV’s services for your reference. The Entertainment package is the most basic TV service offered by DIRECTV. It includes the most popular entertainment, news, and sports channels. For only $29.99 a month, customers get to access to more than 140 digital channels. The Choice package includes the top entertainment, news, and sports channels, including local sports. For only $34.99 a month, customers get to access to more than 150 digital channels. The Choice Xtra package is currently best-selling package that DIRECTV offers. It includes more movie and sports channels. For only $39.99 a month, customers get to access to more than 210 digital channels. The Choice Ultimate package includes all the channels in Choice XTRA plus 11 more movie channels, tailored for the movie buff. For only $44.99 a month, customers get to access to more than 225 digital channels. The Premier package is DIRECTV’s top-of-the-line offering. It includes all premium channels there is. For only $89.99 a month, customers get to access to more than 285 digital channels. All of these packages come with free professional installation, free handling, and free delivery. Also, it does not come with extra costs for local channels and starting up. Customers need not purchase any necessary equipment to avail of the service. Furthermore, DIRECTV customers can record and watch their favorite TV shows in multiple rooms with a single HD DVR. Those who are busy day and night need not miss their favorite television programs. DIRECTV’s HD DVR allows its users to record up to five TV shows at a time. They can even opt to watch a recorded show while recording another show in another room. With DIRECTV satellite, those in North America can watch their favorite shows and access the most popular channels and networks from all over the world. DIRECTV offers international packages that feature Spanish, Brazilian, Cantonese, Filipino, Korean, Mandarin, Russian, South Asian, and Vietnamese TV programs and channels. Except for Cantonese package Jadeworld®, these international packages need to be added on to an English base package. You can check DIRECTV guide to have an in depth look at what channels each package offers. DIRECTV also offers bundle options for those in need of internet and phone services. 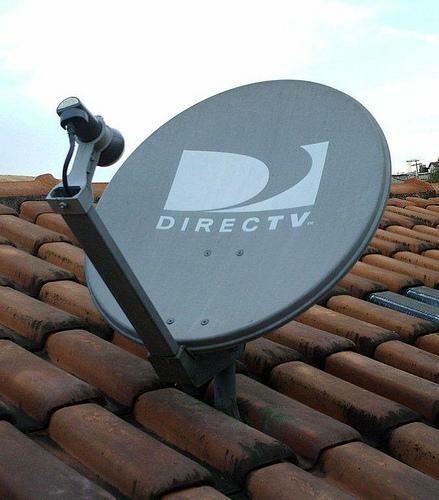 DIRECTV has partnered with leading phone and internet providers to offer much cheaper bundled options. In fact, with a DIRECTV bundle, customers get to save as much as $180. Not only does it offer the best in American entertainment, but it also gives access to the most in-demand shows and movies internationally. For a cheaper monthly rate, DIRECTV customers can opt to avail of internet and phone services as well. If you are looking for a TV provider that offers premium service for your household, then DIRECTV is worth your consideration.